Got any left over cake? This is the ideal way to use it! 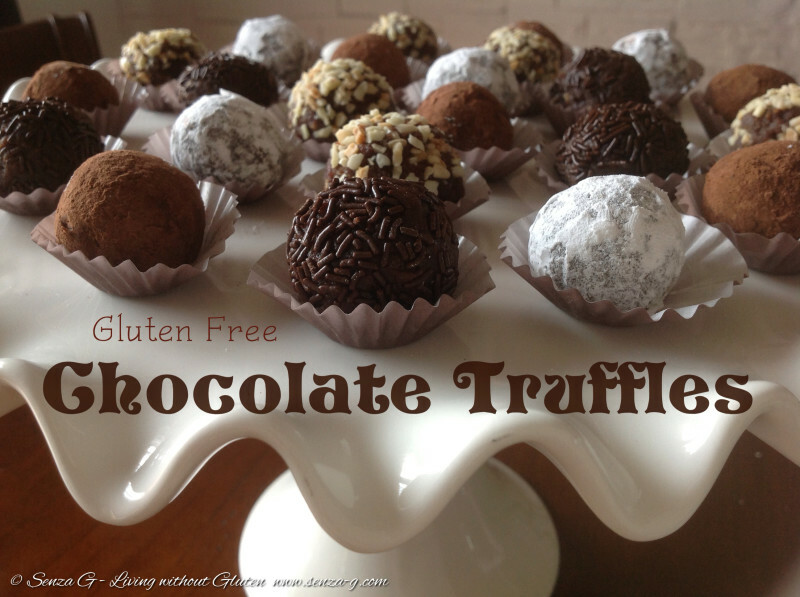 These lovely bite-sized truffles are perfect for that after-dinner treat with coffee! And they are sooo easy to make! I used Gluten Free left over cake, but these can be made with normal cake crumbs too for the non Celiacs! You can also turn them into Cake Pops by putting in a lollipop stick. They make lovely home-made gifts too, presented in a nice gift box. Whizz the cake to crumbs in your food processor. Add the sugar, cocoa, butter, almonds, Amaretto and essence and mix until well combined and smooth. Roll mixture into small balls. Place the icing sugar, cocoa powder, chocolate vermicelli and almonds on separate plates. Roll balls to decorate. You should not have any problems with the cocoa powder and icing sugar, however, if you have trouble with the sprinkles, almonds/hazelnuts not sticking you can dip the balls in melted chocolate and sprinkle them before the chocolate dries. 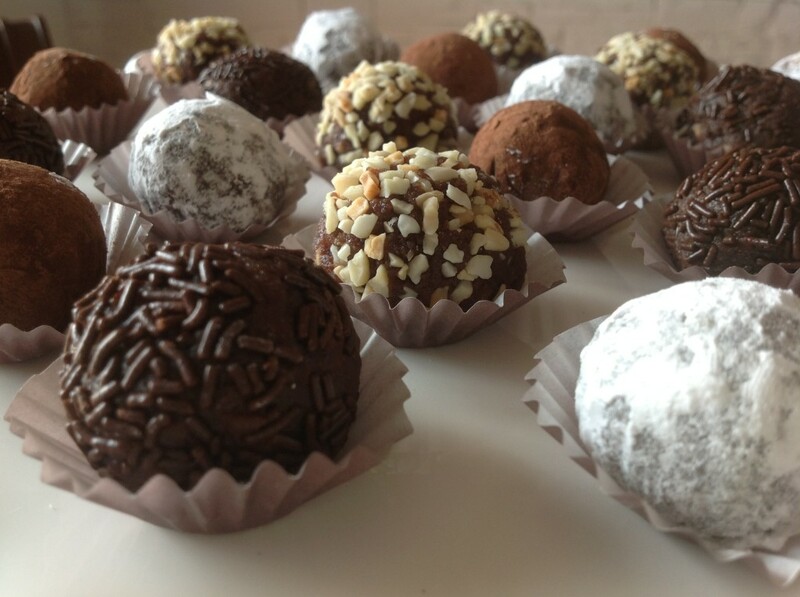 They will come lovely chocolate covered too! Another easy idea is to melt a bit of jam and lightly brush it over the balls so the sprinkles will stick once you roll them in it. Put into small paper cups if desired.